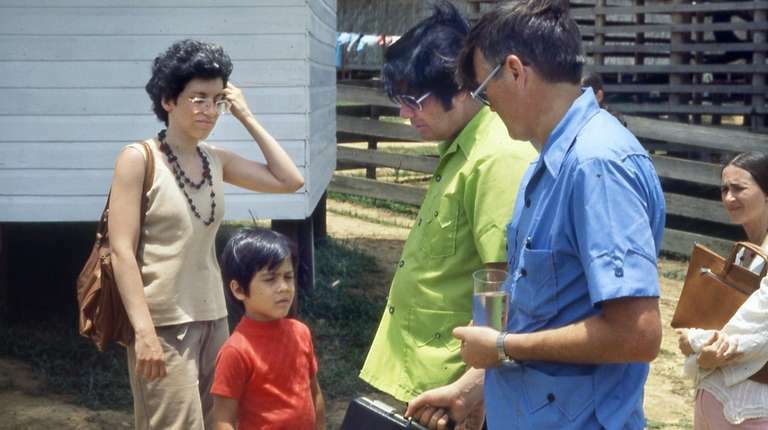 In 1978, Richard and Harriet Tropp, natives of Westbury, died with more than 900 other followers of Jim Jones' cult in a remote Guyana settlement. For many, the shock, and questions, are still fresh. Richard Tropp knew the end was near. The Westbury native jotted down his final thoughts, struggling with each page to explain to the outside world why this day would be his last — and the last for his sister and the hundreds of others who belonged to the Peoples Temple cult. He was writing from Jonestown, a remote agricultural settlement in Guyana named for Jim Jones, the cult's founder and leader. The letter was dated Nov. 18, 1978. "We have all chosen to die for this cause," wrote Tropp, whom Jones had tapped for his inner circle. "We know there is no way we can avoid this misinterpretation." Hours later, more than 900 people, including 300 children, would die from cyanide poisoning — some by their own hand, others by murder. The Jonestown massacre would stand as the largest loss of American life from a single act until the 9/11 terror attacks. Today, 40 years later, questions remains why the Tropps and hundreds of others — brought together on a promise of racial integration, social justice and equality — would ingest a powdered grape drink laced with potassium cyanide. "It was a devastating experience," recalled Sandra Tropp, a retired Boston University professor and the sister-in-law of the Tropps. "They left such a terrible hole in their father's heart forever." The Tropps grew up like many in post-World War II Long Island. Their parents, Herman and Eleanor Tropp, Russian-American Jews, moved their three children — Richard, Harriet and Martin — to Valley Stream from Brooklyn in 1946. They later settled in a home on Martin Lane in Westbury. 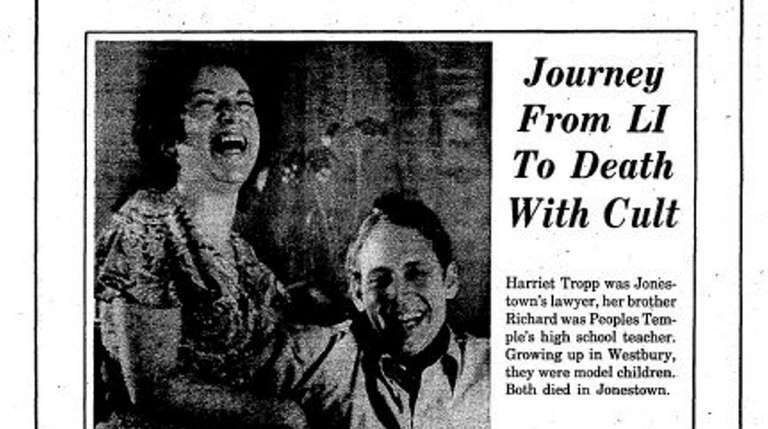 Eleanor Tropp was diagnosed with cancer in 1965 and died a year later. Despite the sudden death of their mother, the Tropp children appeared to be on the path to success. Each graduated with honors from Clarke High School in Westbury. Martin, who died in 2006, went on to become an English professor at Babson College in Massachusetts. Harriet earned a law degree from the University of California's Hastings College of the Law. Richard earned degrees from the University of Rochester and the University of California at Berkeley. But Richard, active in the 1960s anti-war movement, was restless, family members said. "He always seemed to be in search of a cause," Martin said of his brother in an interview with Newsday in 1978. Richard returned to California, where he met Kathryn Barbour, an Ohio-born, self-described "hippie," in 1967. The couple rented a small cabin in Northern California's Redwood Valley, a half-mile from the Peoples Temple, a new religious movement that combined elements of Christianity with communist and socialist policies. 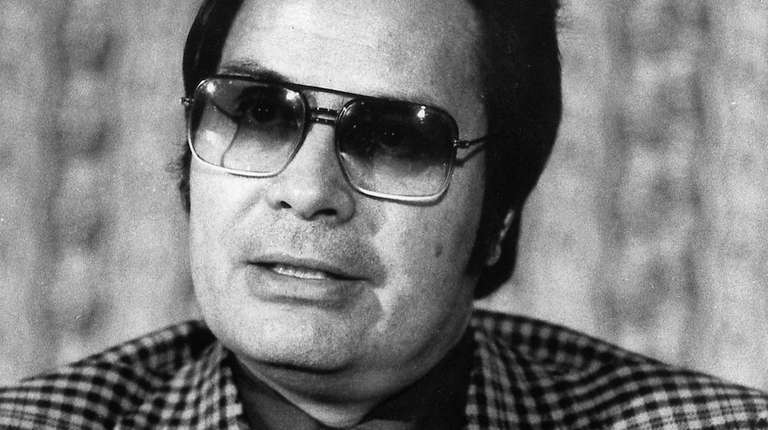 While working as a census taker in May 1970, Richard knocked on the door of Jim Jones. He was instantly enthralled by the charismatic reverend's revolutionary rhetoric, said Barbour, 72, of San Francisco. "He was so friendly and happy," she said of Jones. "But I had concerns. He was intimating that he was Jesus." Jim Jones had a rough start in life. Born in 1931, just a couple of years into the Great Depression, Jones grew up in rural Indiana — in a shack without plumbing, Marshall Kilduff and Ron Javers write in their book "The Suicide Cult." Some of his neighbors saw the young Jones as what they later would describe as a "really weird kid" who showed great interest in religion and death, according to psychologist Richard Wiseman. "He also exhibited an early interest in preaching, with one childhood friend recalling how Jones once draped an old sheet over his shoulders, formed a group of other children into a makeshift congregation, and promptly gave a sermon pretending to be the Devil," Wiseman writes in "Paranormality." In 1955, at the age of 24, Jones founded a church that would eventually become known as Peoples Temple, Wiseman writes. "Rather bizarrely, he funded this ambitious venture by going door-to-door selling pet monkeys," according to the book. "When he wasn’t engaged in monkey business, he spent time honing his public speaking skills and soon built a considerable reputation as a highly charismatic preacher." Fifteen years later, in California, Jones brought Richard Tropp and Kathryn Barbour into his flock, and the couple moved into a church commune. The couple gave their personal belongings to the church and received an $8-a-day allowance, Barbour said. They cut ties with their families and ended their romantic relationship. Mutual attraction, Barbour said, was considered selfish and a sign of weakness. Richard, described by colleagues as brilliant but often private and brooding, became chief of the temple's letter‐writing unit, penning articles for the "Peoples Forum," a free newspaper published by the church. Harriet joined the temple shortly after visiting her older brother in 1972. She rose in the church hierarchy for her skills as an attorney and negotiator. While Jones would proselytize on social justice issues — feeding the needy and kicking drug addiction — Barbour recalled that his sermons would end on a dark note, often promising "we will all die together." In 1977, the press began to scrutinize Jones' operation, asking questions about allegations of corporal punishment, druggings and members held against their will. Jones responded by selecting hundreds of followers, including the Tropps, for a move to the secluded Jonestown compound. Barbour was not selected and remained in California, she said. Harriet became one of Jones' top lieutenants, records show, managing the temple's interests with Guyana's top elected officials. Richard served as headmaster of Jonestown's high school. In November 1978, Rep. Leo Ryan of California traveled to Guyana with several journalists to inspect the temple's activities. As the congressman prepared to return home with several temple members, Jones' followers launched an attack on the Guyanese airstrip. Ryan, a temple member and three reporters were shot dead. Jones then launched his "revolutionary suicide" plan. The drink, laced with cyanide, tranquilizers and sedatives, was squirted into the mouths of babies and children and then ingested by adults. Those who resisted were threatened by armed guards, public records show. Jones died of a self-inflicted gunshot wound. "I was in shock," said Barbour, who saw the dead on television. "Forty years later, I feel like I am still in shock." Whether the Tropps ever resisted Jones' suicide pact remains unclear even today. But they showed few signs of remorse, according to writings and transcripts released by the Jonestown Institute, a research group funded by San Diego State University. "We have pledged our life for this great cause," Richard wrote in his final letter. "We are proud to have something to die for." In undated transcripts, Harriet described herself as a communist willing "to destroy, kill, maim, or blow up anything and everything that I feel will be a valid way of protesting the system." For freelance journalist Julia Scheeres, who wrote a book about Jonestown, the Tropps and most of the other followers should be viewed as victims of Jones, who used his charisma and nihilism to convince them that death was the only option. "They went to Jonestown to build a Utopian society," said Scheeres, author of "A Thousand Lives. 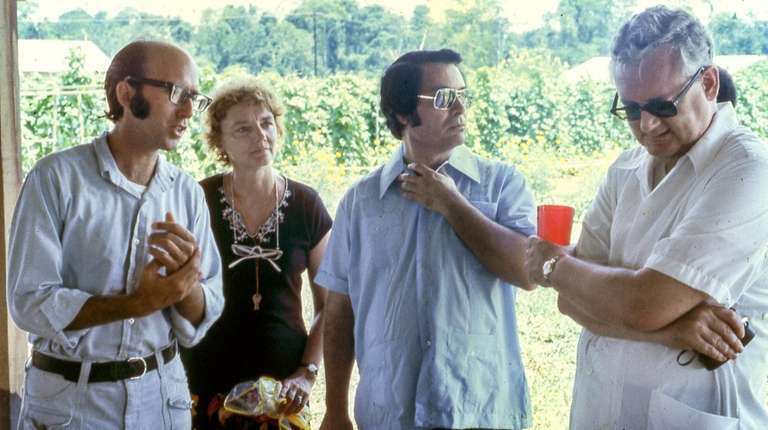 The Untold Story of Hope, Deception and Survival at Jonestown." "I don't think they moved there to die." And Barbour, Richard's former girlfriend, believes those who died at Jonestown should be remembered for more than just their final act. "They should be defined by the lives they lived and not just their deaths," said Barbour, who has published a memorial album with portraits of the victims. In his 1978 interview with Newsday, Martin Tropp tried to make sense of the massacre — and his family's role in the tragedy. "They were so isolated out there in the jungle that they all partook in Jones' delusion," he said. "I told my father we might as well pretend they died in a plane crash. That would have as much meaning."